This was both simple and delicious! This is a recipe we tried and liked some time back. It’s a South Beach Diet recipe and it was simple, easy and delicious! At this time of year we need quick and easy with all of the end-of-year meetings and events, so I pulled this recipe out again. 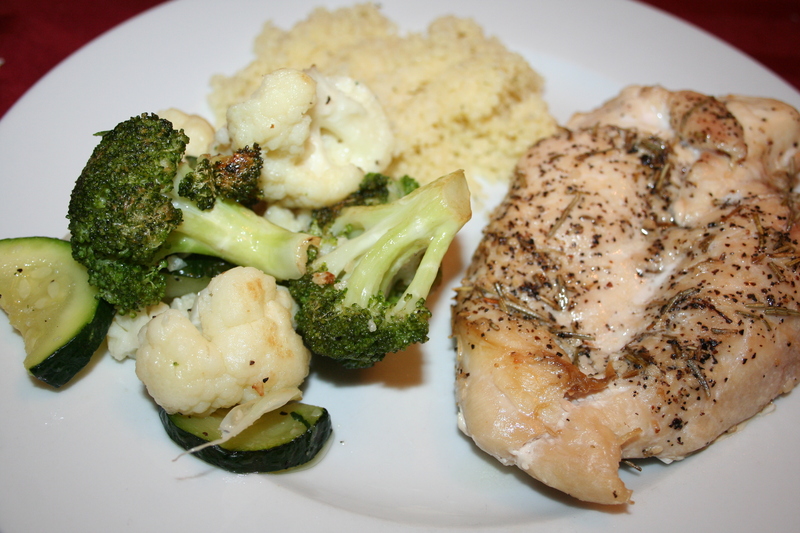 In this photo, ours is served with couscous and a sauteed vegetable medley of broccoli, cauliflower and zucchini. Combine the rosemary, garlic, pepper and salt in a small bowl and mix well. 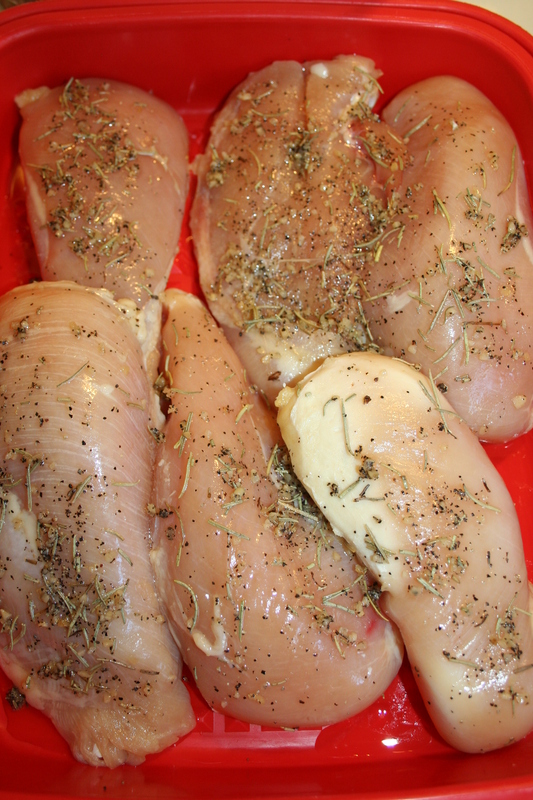 Place the chicken in a large bowl. Drizzle with the oil, and rub with the spice mixture. Spray a heavy roasting pan or iron skillet with cooking spray. Place the chicken in the pan and bake for 10 minutes. Turn the chicken over. If the drippings begin to stick to the pan, stir in 3-4 tablespoons water (or white wine if using). Bake about ten minutes or until a thermometer inserted into the thickest part of the portion registers 160 degrees and the juices run clear. If the pan is dry, stir in another 1-2 tablespoons of water or white wine to loosen drippings. Drizzle the vinegar over the chicken in the pan. Transfer the chicken to plates. Stir the liquid in the pan and drizzle over chicken.